Thanks Katie. You’re so sweet. I love how you accessorized this outfit! I really like that bracelet and the necklace. Oh thanks Syah! You’re the sweetest. Super cute! 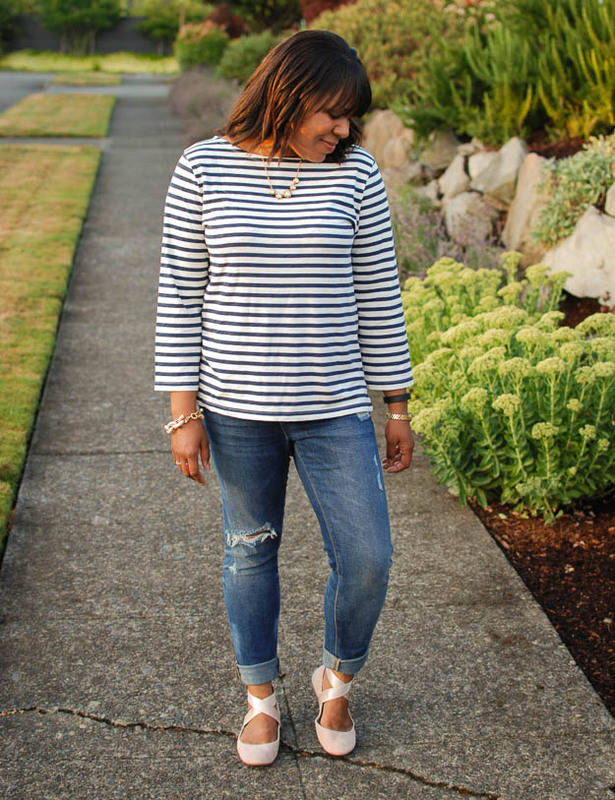 I love a plain striped tee. Aww, thanks Karen. I always love hearing from you. Thank you for the kind words, they mean so much! Ok, those ballet flats are ADORABLE. I LOVE them! And the delicate necklace is so cute! Those shoes are so great! And you can never go wrong with stripes. The skinny watch is a nice touch as well, I would like to find a watch to be able to stack with bracelets like that too! Thanks Cami. You’re so kind. Im glad you like this look. I love my Marc by Marc Jacobs watch. I usually link to it and forgot. I got it at Nordstrom. I agree, it does stack well with bracelets. 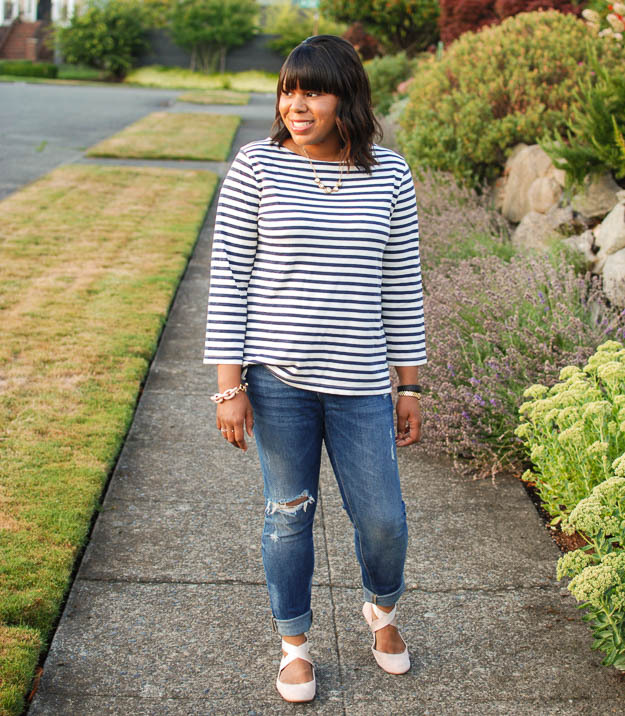 I love stripes and your top is adorable and you are rocking the ballet flats and ripped jeans.You look so cute. Hi Asa, I really love this casual look! The striped shirt looks great, and I really love those jeans on you, my sweet heart! 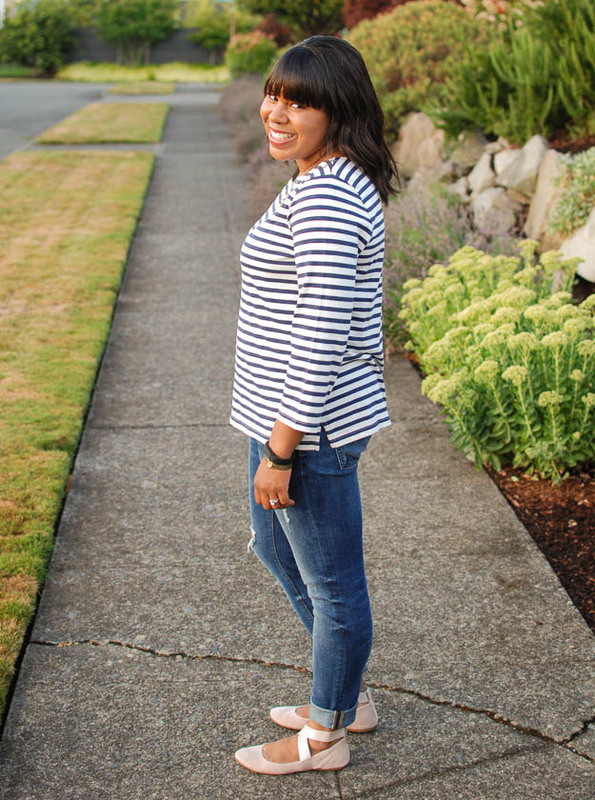 I love the stripe top! I have been looking for one to (that doesn’t look fat on me) to pair up with a flare knee length navy skirt to look absolutely like a sailor girl! Asa! This will likely come as no shock to you, but I have that same exact necklace 🙂 Jewelry twins!! it can’t get any cuter than you in these soft blush pink ballet flat 🙂 i love it!! Aww, thanks Lydie! You’re so sweet. 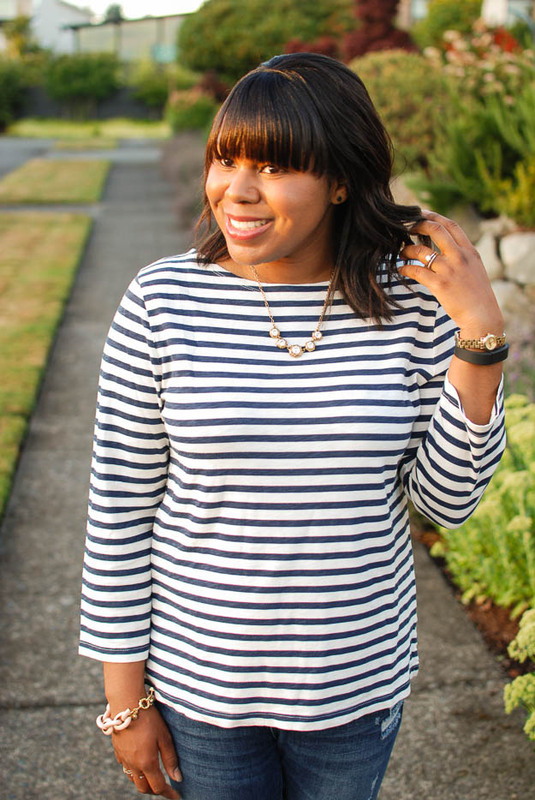 Love stripey tops perfect day outfit for day. 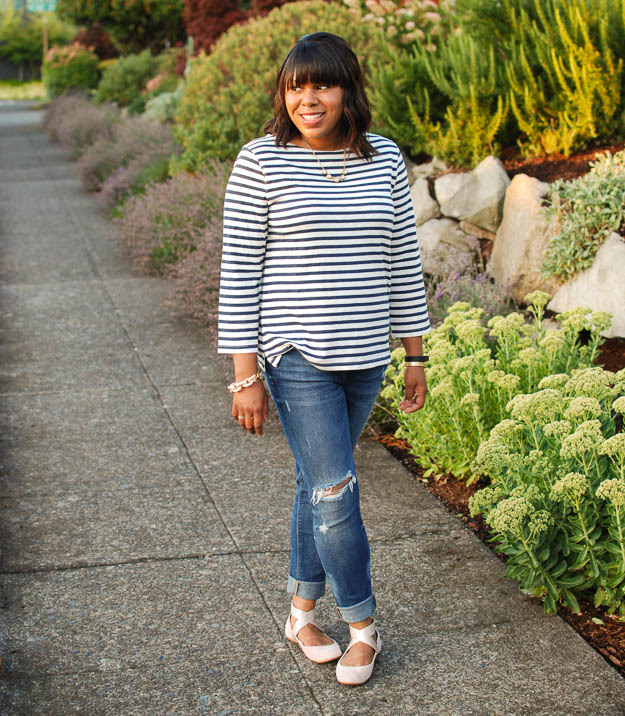 You can never go wrong with a jeans and stripes combo! I’m loving your pretty shoes, too!! Super cute, Asa! I love this entire look!